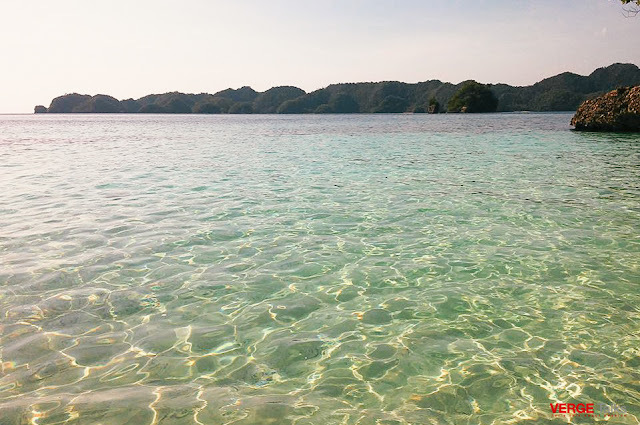 You can visit Bucas Grande via two routes: One from Dapa (Siargao) and the other from Hayanggabon (Surigao). Both these ports have public transportation to Socorro which will cost you a mere Php100/way/head. The boat normally leaves 12noon from these ports so better be at the port on/before noontime. This is your view as you head back to the port after visiting Tiktikan Lake. 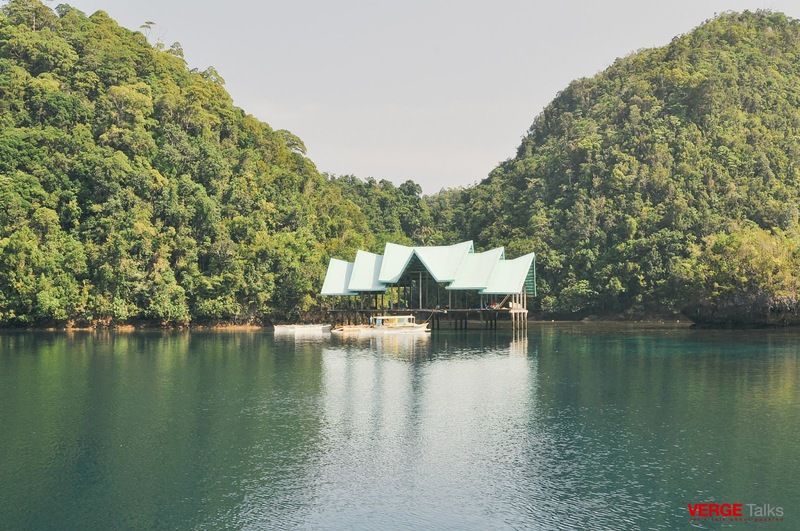 Anyway, while in Bucas Grande Island, you should not miss to explore Tiktikan Lake, Crystal + Bolitas Cave, Sohoton Cove among others (rank by my personal favorite). In Bucas Grande, you can explore the breadth of its mystical caves, coves and caverns; fall to the charm of the forest which displays splashes of vibrant colors and cool shades; get to appreciate the breathtaking view of its upland view parks; swim with hundreds of thousands of non – stinging jellyfishes; get spell-bounded by its inland lakes, falls and rivers; sweat yourself out on your trekking adventure on the rugged and rocky trails. 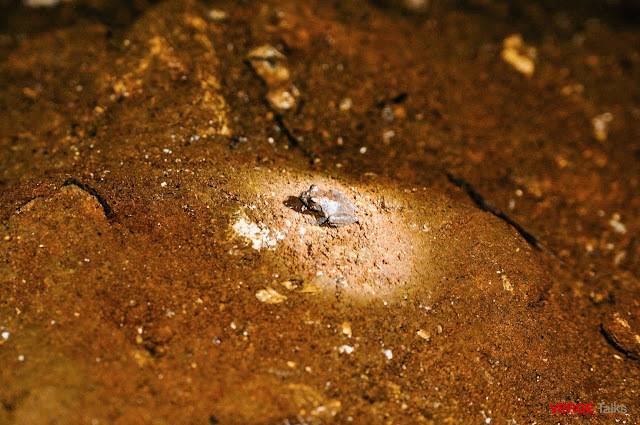 This illuminating micro-frog near Bolitas cave entrance. Php 100.00 - Paddlers towards the jellyfish sanctuary. The cost is per head. Php 165.00 - Boat guide. Normally, they assign two boat guides. 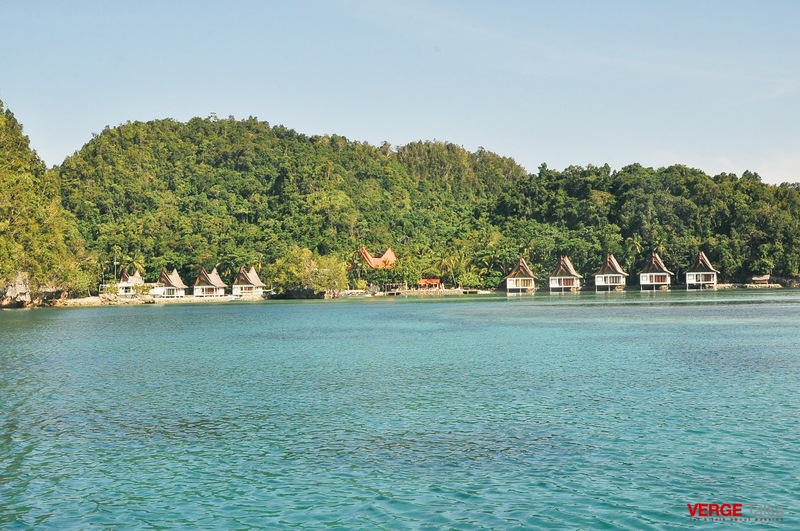 …which will cost you NO LESS than Php1k just within Sohoton. You would have probably hired a boat to tour you around Bucas Grande and the boat ranges from Php 2k-2.5k so expect these expenses while within Bucas Grande. However, if you travel in group, this place is definitely for you! White-sand beach in one of Bucas Grande's islets. Anyway, the enchanting Sohoton Cove has a LOT of things to do within Bucas Grande. It is teeming with astonishing discoveries and will make you go out from the same cove entrance spell-bounded. 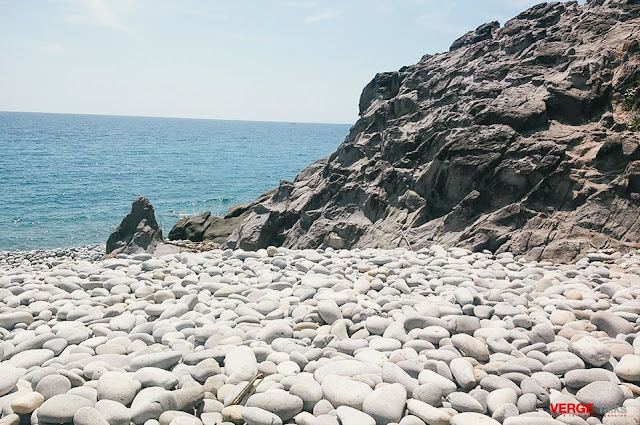 The half submerged entrance is the only entrance and exit point in this blue lagoon which is the home of Hagukan Sea-Cave, Magkuku-ob cavern, Dawongdong wall, fantastic variety of flora and fauna and more! Hagukan (snoring) sea-cave is a cave which has a half-submerged, small entrance that is adorned with rock -oysters and whose ceiling is decorated with awe-inspiring stalactites. 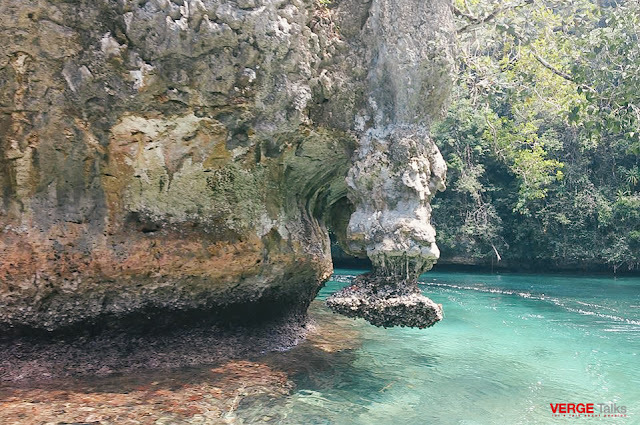 This sea-cave is situated right in the middle of an islet inside Sohoton cove and once inside, you will see a noticeable glow of your skin while you are swimming inside the cave since its small entrance allow sunlight to stream directly into the water and thus make an illuminating reflection. Magkukuob (bowing) cavern is another cave in one of the 7 islets inside Sohoton Cove and blue lagoon. Its walls have been naturally painted with varying colors from yellow to aqua to turquoise which makes it display a surreal galaxy in a glance. At the cavern’s entrance, the water is cold in that you will enjoy drenching your body for some while before climbing on an enthralling passage whose adjoining walls offers a stunning display of mineral-encrusted stalactites and stalagmites. 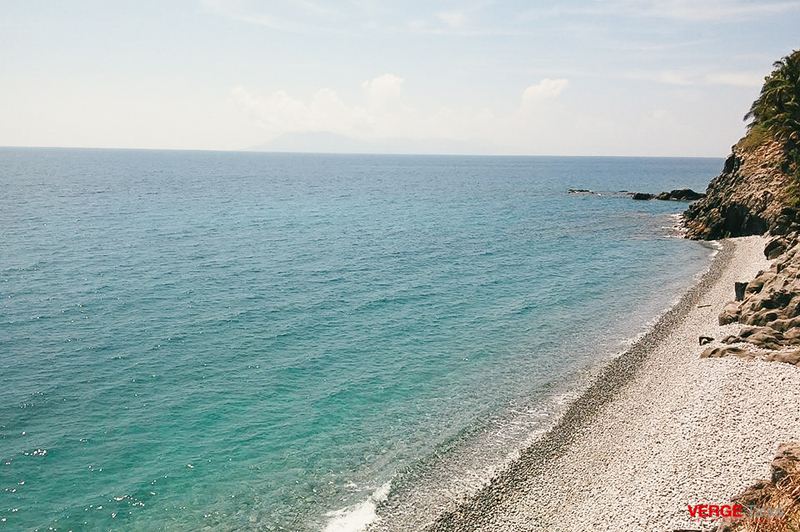 After a short climb, you will reach a 5-meter jump off point to the clear, blue sea right below your feet. 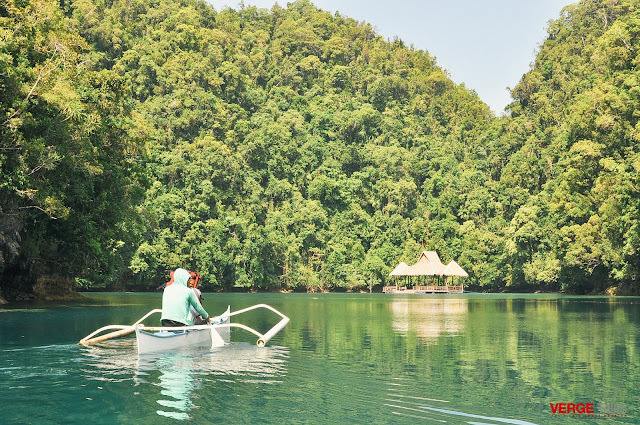 You just don’t need to be afraid of the free fall because this has even heightened the excitement of the famous Filipino actor Robin Padilla in one of his treasured visit in Sohoton Cove of Bucas Grande Island. 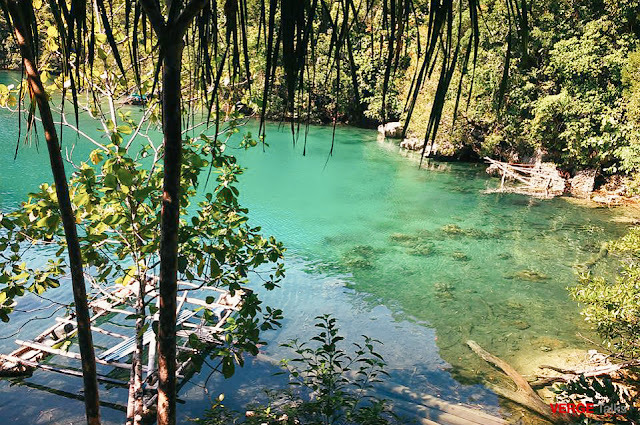 However, if you go to Tiktikan Lake, it’s 15-20feet diving platform is a sure favorite for adrenalin-junkies like me plus the exhausting effort to pass through Bolitas cave is not for the faint of heart NOR for the claustrophobic.